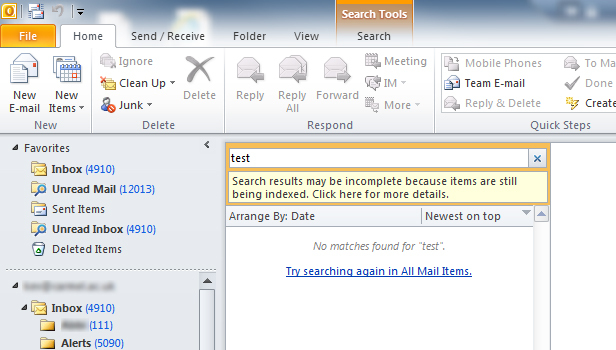 I experienced a problem today where I could not search for e-mails older than 1 day in Outlook. As I have over 10,000 email messages the search function is crucial to quickly find emails. The solution seemed to be a Windows 7 Rebuild Search Index. 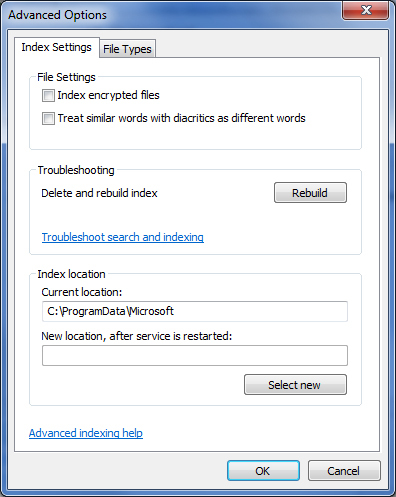 To rebuild the index go to Control Panel / Indexing Options…..
You will be presented with a list of Included Index Locations, one of which is Microsoft Outlook. Clicking the Advanced Options button gives you the following screen…..
On this screen you can select to Rebuild the Index, you will get a warning telling you that this may take some time (and indeed it does!). 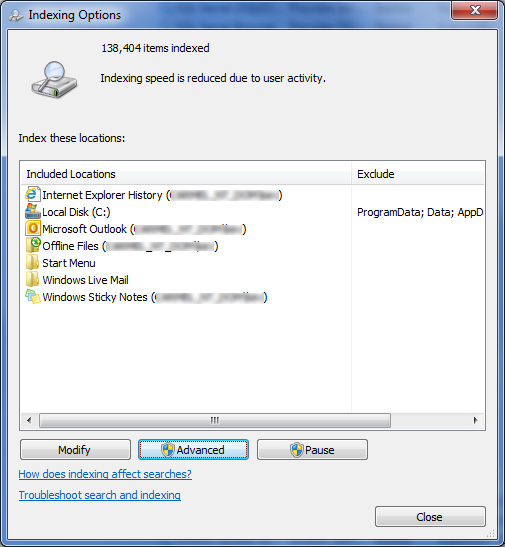 If you go into Outlook during this process and try to do a search as shown below…..
You will get a message that items are still being indexed, if you click on this message you will see a status report…..
Once all items have been re-indexed your searches should then be successful again.